What else should an SSFC fan do on July 4th weekend? 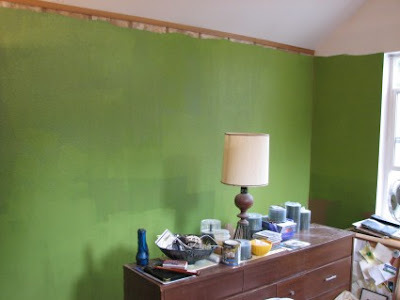 So here are a couple of before photos along with a first-coat Rave Green photo. 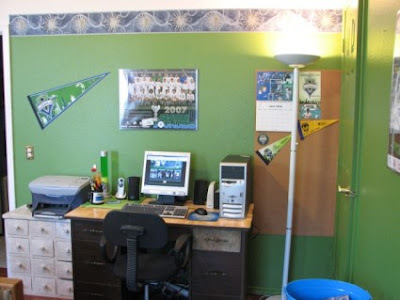 Watch the blog as my computer / website office changes over to colors that support Seattle Sounders FC! I've already got a few items framed (like team photos, etc) that were downstairs in our TV room. Now I am moving it all up to the loft. 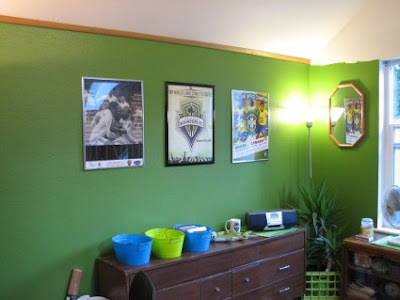 If you've got a similar project going on, send photos to share here: goalseattle@gmail.com. The rest of that wall will have two other posters: one from the DC-Real Madrid match I found in my sports closet, and one from this year's Brazil-Canada match. The other posters are framed, and I found some cool 'bins' to put my GS camera and other gear in. 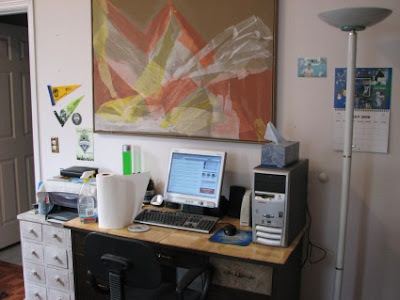 (See bright green and blue 'tubs' on dresser). Freddies (Fred Meyer) came through for me again. The poster frames were on sale for $7.99. SSFC: the center of the wall. The computer wall is done! 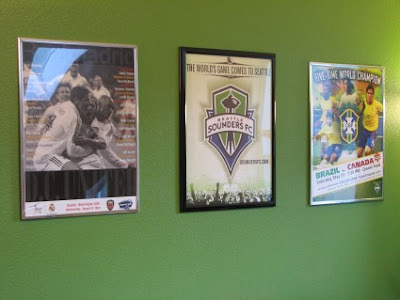 Border chosen and applied, 2007 team photo framed and hung, new SSFC pennant up, cork on wall for calendar and notes. 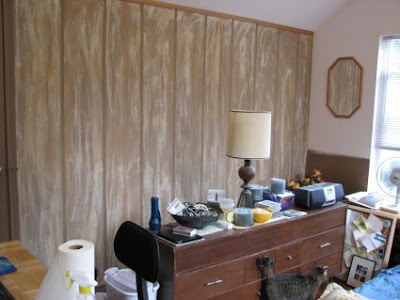 Next up: finish the window wall, and the entire project! Here are the final photos of the finished product. 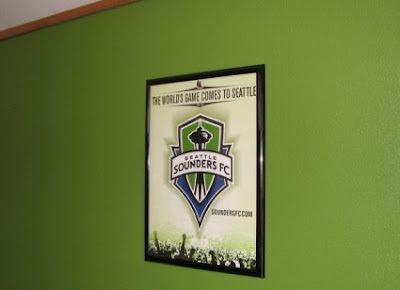 GOALSeattle is in the (rave) green. My daughter is looking to paint so this may give me inspiration!